Julia Kaplansky is a senior. This is her second year writing for The Pel Mel. One of the reasons that she enjoys writing for the newspaper is that she enjoys creating short stories. 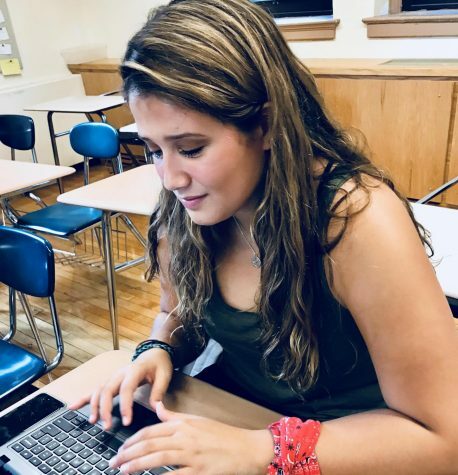 She is an active participant in many PMHS after-school activities, including the Coast to Coast, Maker Space, and Spanish & Political Activism clubs, acting as secretary for the latter. Outside of school, one of her favorite hobbies is reading. Her favorite book is The Great Gatsby by F. Scott Fitzgerald. In her free time, she also enjoys listening to music, having a predilection for indie music and EDM. Julia's icon is the great James Charles, due to his independence and bravery in the face of adversity. Julia is optimistic about the upcoming year and her time writing for The Pel Mel.